In an innovative application by French product designer and artist, Thomas Dellys, Dibond aluminum composite material was used to form exquisite furniture designs. 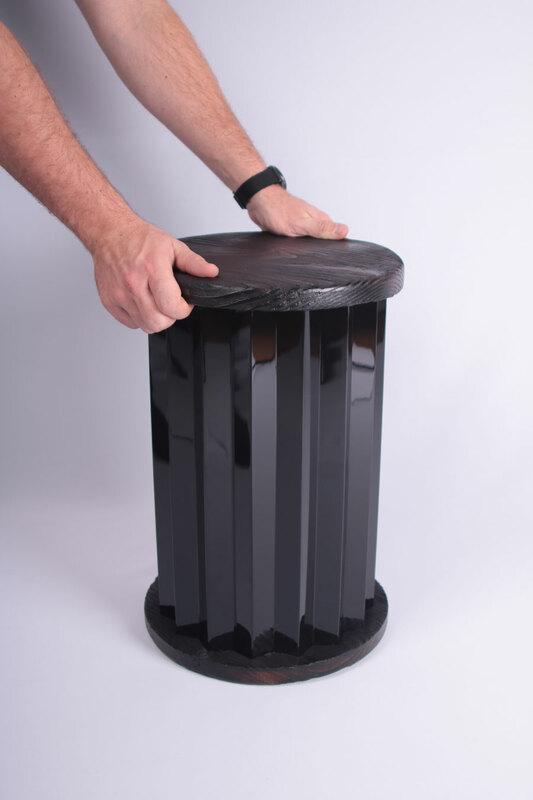 The first piece in a series of side tables and low tables, is a small stool made of wood and ACM. The designer refers to the small prototype as the JPN stool. 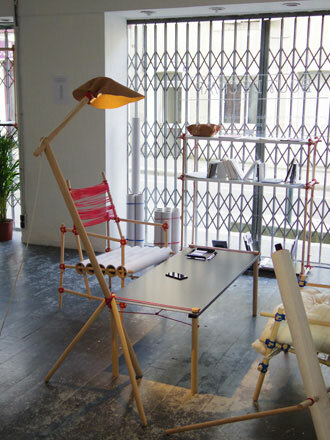 Thomas Dellys is a young designer creating in his studio in Rennes, France since 2011. The up-and-coming artist regularly experiments with new materials in order to create at the edge of design and art. He explores an impressive variety of product designs to include ceramics, set design, furniture, lighting, baskets, and sculpture. Dibond was chosen for Dellys’ latest furniture collection, “because of the lightness and the resistance of the material.” Shiny black Dibond was used to contrast local pinewood that was burned with an ancestral Japanese technique on the JPN stool. Manipulating the material into even folds like origami, the reflective aluminum sandwich paneling is shaped like a paper leaf to produce rigidity. The wood is varnished with a shiny polyurethane to make a strong contrast between the structure and the seat. The JPN stool uses a small amount of Dibond, but it is essential for the building and the resistance of the product. The prototype used 4mm Dibond, but going into the creation of the next pieces in the collection a slightly thinner thickness of 3mm Dibond will be used without cutting down on the durability of the piece. This is not the first time the designer has specified Dibond for his projects. In an initiative to transform a design gallery in a hotel room, Dellys chose ACM to create surfaces, shelves, and mirrors. “It was easy to mill, light to transport and easy to fold to create original objects or furniture.” The exhibit showcased an architectural study for a client about a garden cabin and the mirrored Dibond was used to reflect the interior to create a hidden space. Dibond is often chosen for its versatility and lightweight qualities. It can be easily cut, folded, milled to shape any design and attached without glue or screws. In the future, the designer looks forward to experimenting with attachment methods, paints, and different colors of the material.